BLACK FRIDAY -> -10% on your rental for the month of january !!!!! This 85m² apartment is located in a quiet residential area and has a beautiful view of the mountains of South Puigmal exposure. Up to 8 people, it is ideal for a family reunion with large table in an appropriate area, as well as ski holidays with friends and family. To make your life easier: bed linen included, the necessary appliances are provided (washing machine, dishwasher, iron, etc.) and internet access is included in the rent. There is also a parking lot for parking (4 places). A 80km from Perpignan and 500 village, the apartment is conveniently located. 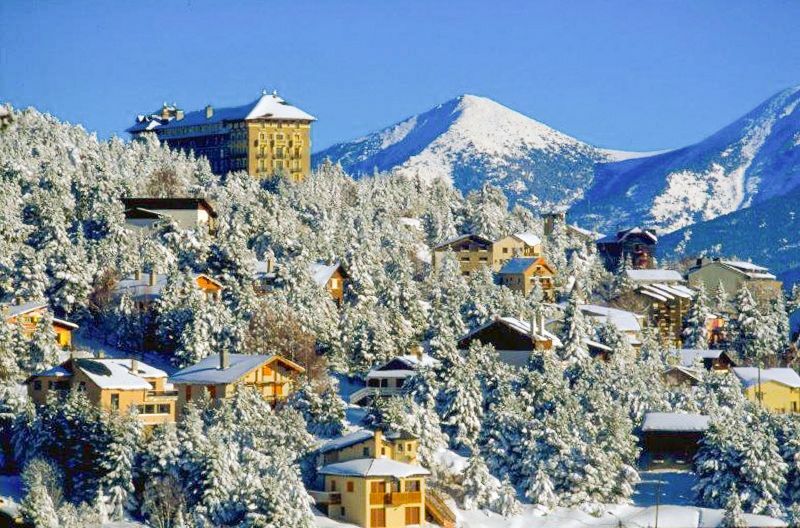 You will have access to shops, restaurants bars in minutes (1km maximum) and the Font Romeu ski resort is only 800m (cable car). So you can ski but also enjoy many other activities: sledding, casino, golf, paragliding and mountaineering.